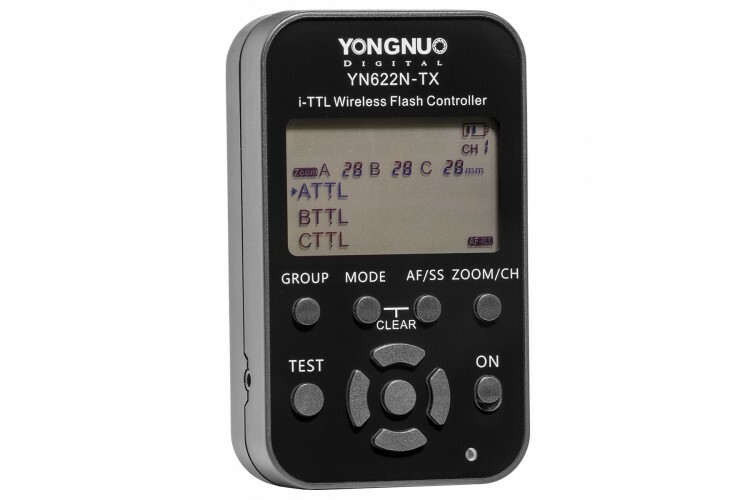 The wireless controller YN622N-TX for Nikon iTTL will control remotely up to 3 groups of CLS compatible flashes equipped with an external or built-in YN622 receiver. The YN622N-TX will allow you to adjust the power output and zoom position of each group of lights. The controller supports all additional functions such as 1st/2nd curtain synchronization, FEB, FEC, FEL and HSS. As an bonus, the controller is equipped with an AF assist light that improves the camera's focusing ability in low light. 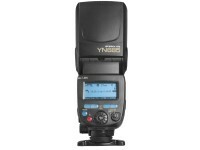 The YN622N-TX can also operate as a remote shutter release by being triggered from another YN622 module (the necessary cables are included). 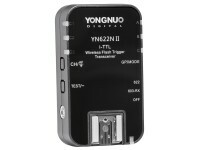 You can learn much more about the operation of the YN622 system by reading the description of the TTL transceiver kit YN622 II for Nikon iTTL/CLS. 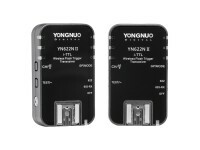 It is important to know that by the very nature of the CLS system, the relative importance of the YN622N-TX transmitter compared to a YN622 II transceiver is hugely larger. Unlike the Canon control system which uses the camera menu for configuration, Nikon CLS relies on the flash OSD to configure the remote flash groups. Using a YN622 II on the camera requires that you also put a commander flash on top, which is sub-optimal as you can't use it off camera for a better lighting effect. 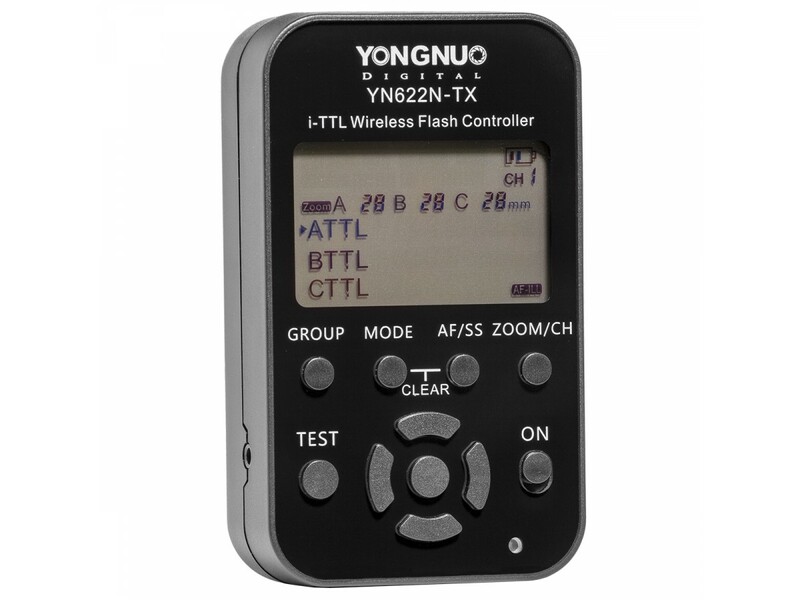 TL;DR version: as soon as you want to control two or more CLS-capable flashes from your Nikon, the Yongnuo YN622N-TX is not a luxury but necessity.